Vancouver – Hearings are set to continue today in a case to determine whether the BC government is bound by law to protect the province’s endangered old-growth Coastal Douglas-fir ecosystem. Ecojustice lawyers are representing the Wilderness Committee and ForestEthics Solutions in this lawsuit, filed in BC Supreme Court in May 2013. The Coastal Douglas-fir forest once dominated an area covering approximately 2,600 square kilometres. 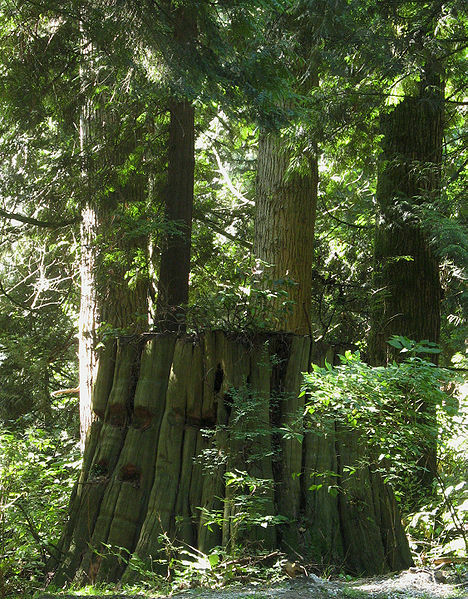 But after decades of logging, the BC Forest Practices Board estimates that only 1,600 square kilometres still remain. And according to government data, only about 2.75 square kilometres — an area smaller than Stanley Park — remain in old-growth condition. The provincial government controls about nine per cent of all lands in the Coastal Douglas-fir forest, and despite its purported protection under BC’s forestry laws, it recently allowed logging in a forest of this type near Nanaimo. An affidavit from former long-time Ministry of Forests employee Mary Jo Hamey, who rang the alarm bell on logging in this endangered ecosystem, forms part of the evidence submitted by the groups. “If the government is breaking its own law, then we need the courts to take action to make sure these iconic forests don’t go the way of the dodo,” said Valerie Langer, BC Conservation Director for ForestEthics Solutions.